Celebrations for many occasions such as birthdays, wedding anniversaries, baby shower, Mother’s Day and Father’s Day would be intended to share, spread and increase the happiness among the close people that care about the person or couple. Most of the times; the surprise parties would be arranged by the family members, close friends or relatives of the person celebrating. This could be the best way to express the warmth and affection for the person. Similarly, the invitees that come to be an active part of these celebrations usually bring some gifts for the person celebrating his birthday or any other special occasion. The intention behind every gift would be to make the recipient feel delighted. Instead of gadgets, accessories and clothing; gift hampers with edible gift items can be a great choice. · Chocolate bouquets: This can be one of the best gift hamper ideas. The online gift store would send across a fantastically decorated bouquet with glossy wrapping papers, satin fabrics, small basket made of plastic or bamboo and artificial branches that look like part of the bouquet and the round shaped chocolates and truffles would be suspended on the top of every branch to look like flowers. 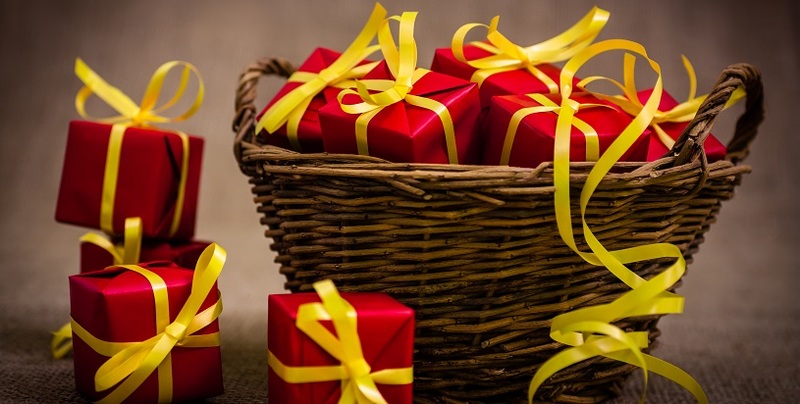 Aspirants can Send Gift Baskets India to any desired location if they would not be personally attending the event but still wish to greet the recipient. · Gift hamper of dried fruits and cake truffles: Aspirants can order gourmet gift baskets India through the exclusive online stores that offer delicious dry fruits and cake truffles packed together in two different gift boxes. This would be a great treat for the recipient as he can enjoy rich dried fruits such as almonds, cashew nuts, dried figs, caramels, pista, dried grapes called as "kishmish" and many other varieties of delicious dried fruits and nuts. Along with these there would be another packaging of mouthwatering cake truffles that would be made with a thick Choco ball inside and poured hot chocolate. Thus the recipient would really feel happy to be gifted with this edible surprise that would really make his day. Thus aspirants that wish to greet the loved one on any happy occasion can order gourmet gift baskets online from Giftcart.com. We at Giftcart.com, offer marvelous varieties of gift hampers with finest quality chocolates, cakes, cookies, dried fruits and truffles.